Dubai: The UAE Red Crescent Authority, in coordination with the Saudi Red Crescent, have launched a joint initiative to alleviate the suffering of citizens affected by devastating and unprecedented floods in Iran. In a joint statement, the two noted that this joint initiative comes from the spirit of Islamic brotherhood and emphasizes human solidarity with the Iranian people. Heavy rains in Iran began on March 19, affecting around 1,900 cities, towns and villages. Several roads, bridges and buildings have been destroyed. Around 86,000 people are living in emergency shelters. Last week, more downpours put a further 400,000 people at risk. 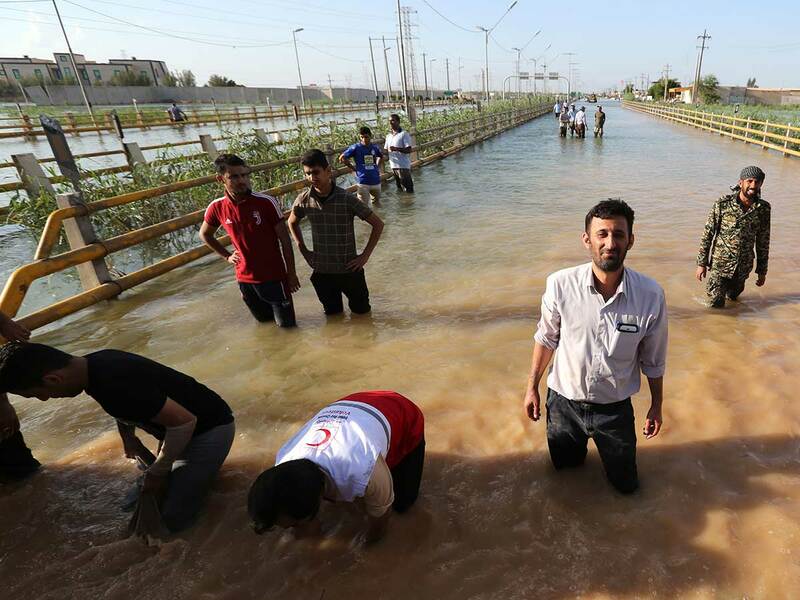 Six cities and towns along the Karkheh river were evacuated at the earliest, Khuzestan’s governor Gholamreza Shariati said. Terming the situation as critical, he said despite the fears of renewed flooding the floodgates at the Karkheh dam were opened to ease build-up. Around 70 villages in the province were evacuated in the past week. Iraq on Saturday shut Sheeb border crossing to both travellers and trade until further notice. Energy companies in the oil-rich region are aiding the relief effort by using pumps to remove water. The help comes despite tense relations between Iran and much of the Arab world. Arabs accuse the regime in Tehran of meddling in their internal affairs and fomenting sectarian strife in the region.